New Musicians Wanted program boosts local indie musicians; Newsom wants to kill Entertainment Commission. The Internet has simultaneously killed CD sales and helped expose musicians to a much wider audience. The problem has been figuring out how to get those online fans to pay up. A couple weeks ago, musicians got a new tool to help monetize their online presence and gain financial freedom. On March 16, YouTube announced the launch of its Musicians Wanted program, allowing musicians to apply for the opportunity to enter a revenue-sharing model with the video-hosting site. In other words, musicians could actually earn money from the videos they upload based on how many views they generate. Though the program is just weeks old, YouTube says it's already gotten more than 1,000 applicants — and those who've been approved so far range from the lone-girl/guy-in-bedroom-with-guitar to viral-video gurus OK Go. Meanwhile, some local musicians who have already partnered with YouTube say it's an untapped resource that more independent artists should take advantage of. San Mateo-based video/audio masher Mike Relm has been a YouTube partner since 2008. Video is already an integral part of what Relm does musically, but the YouTube partnership has encouraged him to take it even more seriously. "I'm definitely doing a lot more videos," he said. "In 2007, I put up three a year. More people are listening to my stuff on YouTube than they are on my web site — why don't I just sort of focus on this?" Most of his videos are riffs on pop culture or current events — in which he cleverly mashes up and mixes his own music with the video. His latest uploads include a remix of the Cop Out and Iron Man II trailers — both of which have garnered tens of thousands of views. Contrary to what some may think, Relm says making videos haven't taken him away from his music — in fact, he says he's "making more music than I ever have in my life." While Relm wouldn't disclose just how much he's making from his videos (against YouTube policy), he said, "It definitely works. I'm not even like a super-duper popular artist. Bands definitely need to take advantage of this." 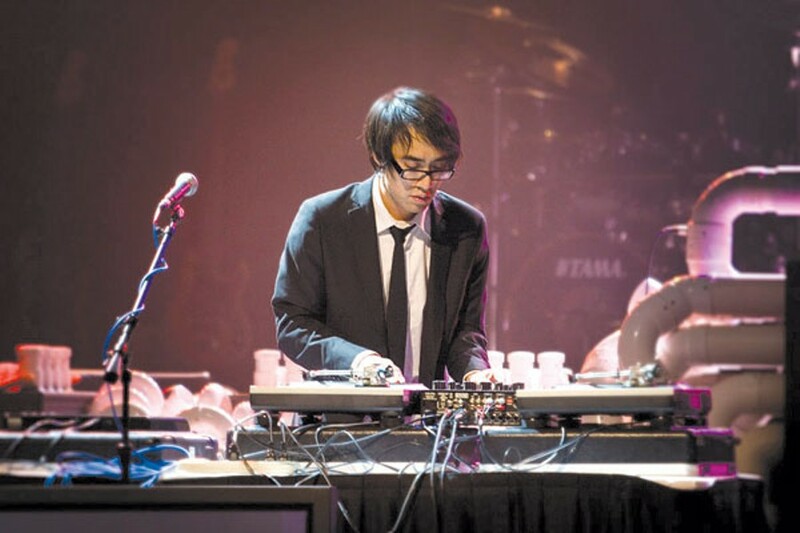 Local singer-songwriter Goh Nakamura has also been a YouTube partner since 2008, ever since the site featured his video that garnered a million views. Though he says he's not really making any money off the videos because he's not "a good video blogger," he said "it definitely has potential for benefits. ... Hopefully I'll get my act together soon." To apply for Musicians Wanted, bands can submit an application at YouTube.com/partners. While there are no hard-and-fast rules for qualification, YouTube's music community marketing manager Michele Flannery says "you have to be someone who's engaged" and "will continue to do so." Cliff Samaniego, YouTube's strategic partner development manager, added that the majority of the rev share goes to the artists. Besides the ability to make money, bands who are accepted as partners can also upload videos longer than ten minutes and personalize their pages with banner ads, links, merch info, tour dates, and more. Relm acknowledges that videos and technology in general can seem overwhelming to a lot of musicians who'd rather spend their time writing music. But Relm says immersing yourself into the New World is a must considering that the old model of selling CDs and going on tour is pretty much gone. "I'm surprised more musicians aren't up on it," he said. "It's such a video-centric world that it's kind of scary. A lot of musicians don't have a lot of videos to your songs, but you should." Gavin Newsom wants to disband the city's Entertainment Commission, according to an article in the Chronicle. The commission, which both promotes and regulates the city's entertainment industry, has been criticized for being ineffective in curbing violence and other problems around certain nightclubs, which critics like the mayor say is related to the fact that some commission members are too financially linked to the scene. The mayor's statement came just before the commission voted last week to close Suede for thirty days, following a shootout in February at the Fisherman's Wharf nightclub. The mayor wants to return authority to issue entertainment permits back to the police. However, that power was first taken away in 2002 after complaints that the police were too strict and had created an atmosphere that didn't foster the city's nightlife. Abolishing the commission would require voter approval, however other options — such as creating a separate panel just for permits — are being explored. Club Oasis has closed to undergo remodeling, but when it reopens on May 8, the venue will start hosting live bands and DJs weekly. ... San Francisco band the Papercuts have signed to Sub Pop Records. The Seattle label plans to release a new record from the band in early 2011. ... This year's installment of the US Air Guitar Championship is currently underway and ends June 5 at the Fillmore. The Bay Area produced one of the sport's greatest champions, Hot Lixx Hulahan, who won the world championships in 2008 and the nationals in 2006. ... Local releases this week: LoveLike Fire's Tear Ourselves Away and Judgement Day's Peacocks/Pink Monsters.